Mutimedia report on the planned restoration of St Mel’s Cathedral Longford which was destroyed by fire on Christmas Day 2009. On Christmas Day 2009, St Mel’s Cathedral Longford was destroyed by fire. 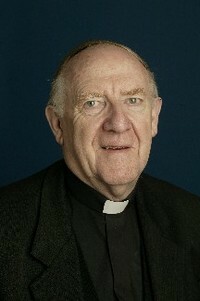 On 6 February Bishop Colm O’Reilly announced the design team for the restoration of the Cathedral. Please see video and photos from the Cathedral, a report on the project and listen to Bishop O’Reilly’s address below. St. Mel’s Cathedral has been the Mother Church of the Diocese of Ardagh and Clonmacnoise since its foundation in 1840. It has long been recognised as one of the most beautiful and gracious Cathedrals in the country. Fire broke out around 5 am on Christmas morning 2009. It began at the rear of the building and the hope was that it might have been contained in that area. However that was not to be despite the best efforts of the fire services. A comprehensive investigation was undertaken by Garda and insurance forensic experts into the cause of the fire. It was established that the outbreak first arose in an old chimney flue at the rear of the Cathedral and unfortunately broke out into the sacristy through old inspection hatches located behind fitted units. It was concluded that the fire was entirely accidental in origin and could not have been foreseen. In the midst of the shocking loss there has been some good news. The National Museum were able to recover over 200 pieces from the museum. The items have obviously suffered fire damage and are currently being assessed for restoration. The two most prestigious stained glass windows in the Cathedral were from the Harry Clarke Studios. Amazingly these two windows were the ones least damaged and are repairable. They are a very important part of the stained glass heritage of the country. In addition, complete templates of all the other stained glass windows are available because of a comprehensive restoration project that was carried out in the mid 1990s. The statues in the Cathedral were made of plaster and just three have survived, one of them being that of St. Mel. So far the focus of the restoration work has been to ensure the safety of the Cathedral, and the clearing out of the debris and installing a temporary to keep the building weatherproof. At this stage, it is impossible to estimate accurately the financial cost of the restoration. From initial discussions with insurers, it is hoped that insurance cover will be adequate to cover the re-instatement of the Cathedral. However the restoration affords us an opportunity to consider enhancing/upgrading the facilities at the Cathedral. Donations are currently being accepted through the “Friends of St Mel’s Cathedral – Restoration Reserve Fund” managed by Longford Parish Finance Committee. Active fundraising will not begin until a clearer picture of the full restoration plans and relevant costs emerges. 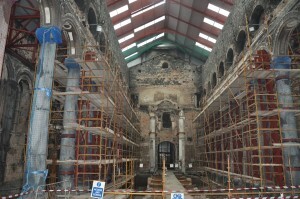 Details of the restoration project to restore Saint Mel’s Cathedral in Longford were announced in February 2011 by the Bishop of Ardagh and Clonmacnoise Dr Colm O’Reilly. According to Bishop O’Reilly, the lead architect for the project will be Dr Richard Hurley of Richard Hurley and Associates Architects along with architect Colm Redmond, from Fitzgerald, Kavanagh and Partners. They will be joined on the project by Interactive Project Managers Ltd, Bishop Colm O’Reilly and Seamus Butler, Chairperson of the Saint Mel’s Cathedral Project Committee on the design team. 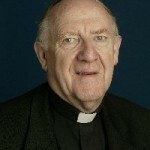 Bishop O’Reilly said that he wants the views of parishioners taken into account when the new cathedral is been designed. He said that one of the ideas proposed by parishioners so far is that the sanctuary should be moved further down the nave and closer to the people.